After a member is seated you will need to open a ticket at the POS and link that order to the members account in order to process the transaction with either their House Account or Card On File. Scan their cheat sheet barcode, or manually enter their alphanumeric member number or their phone number on file. In the event that you encounter an error when processing a charge to a member’s account please wait a few seconds and try again. Below are the typical error messages you may encounter when processing a charge to a members account. You will see this error if the order has not yet synced to the members profile in PeopleVine. Wait a few seconds and try again or verify the member number was entered correctly. This error indicates the members House Account has no credit remaining. 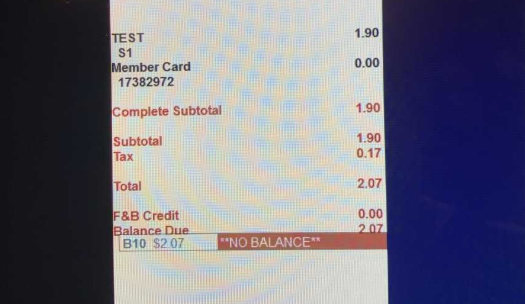 This error indicated the members card on file has been declined. This error indicates that the member does not have a card on file. This error indicates the order has not synced.